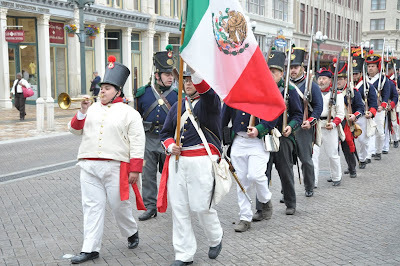 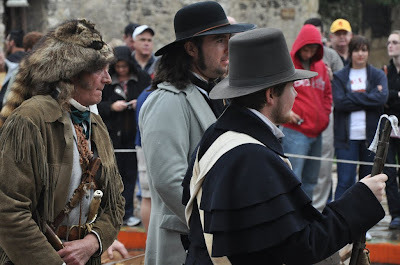 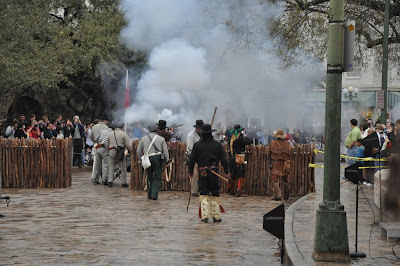 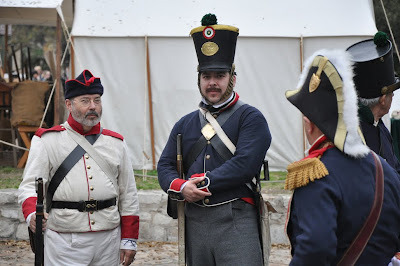 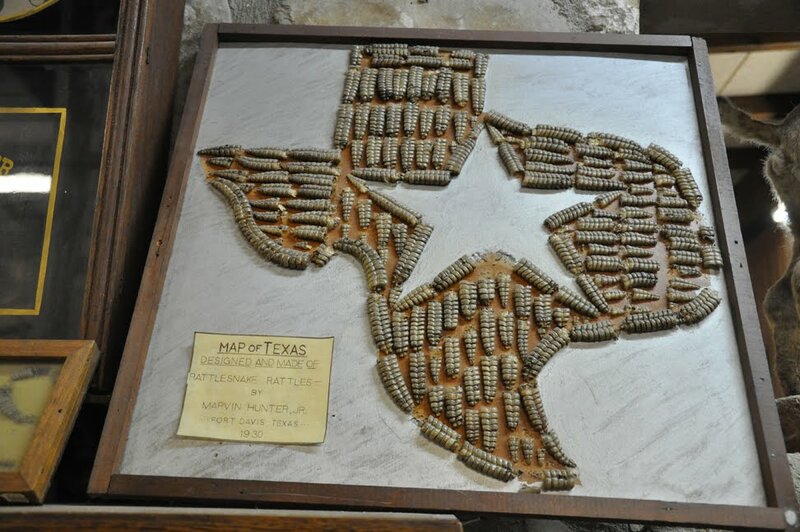 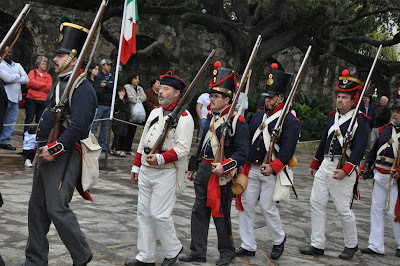 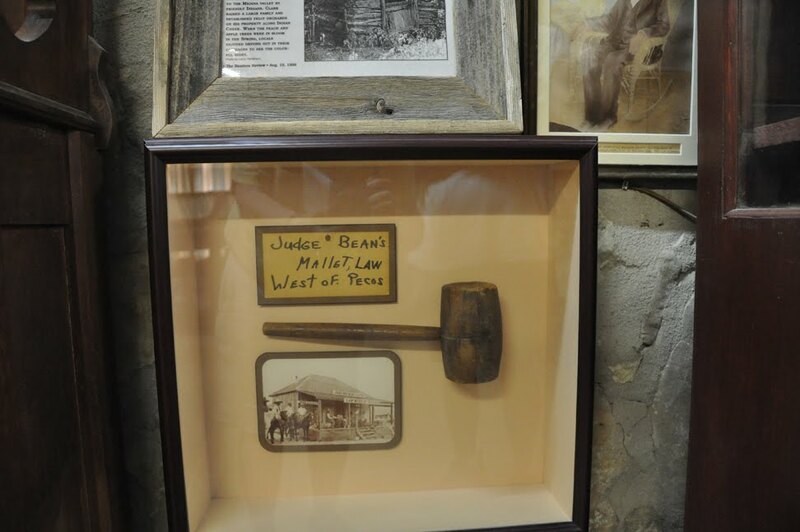 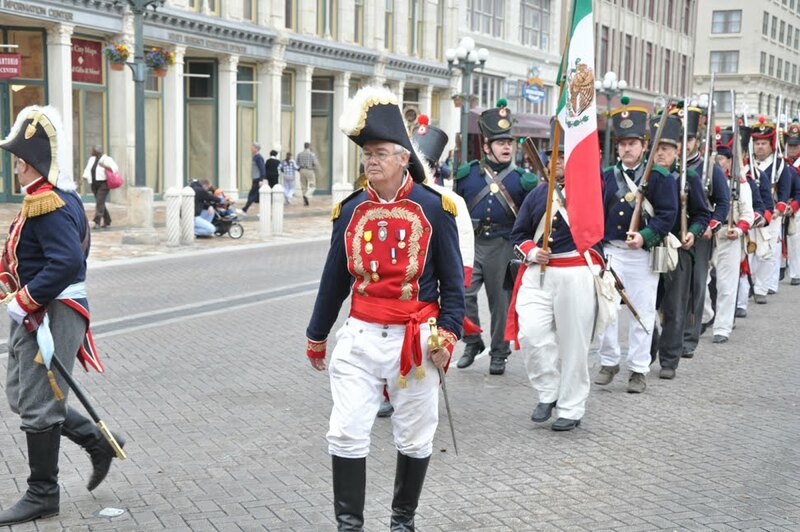 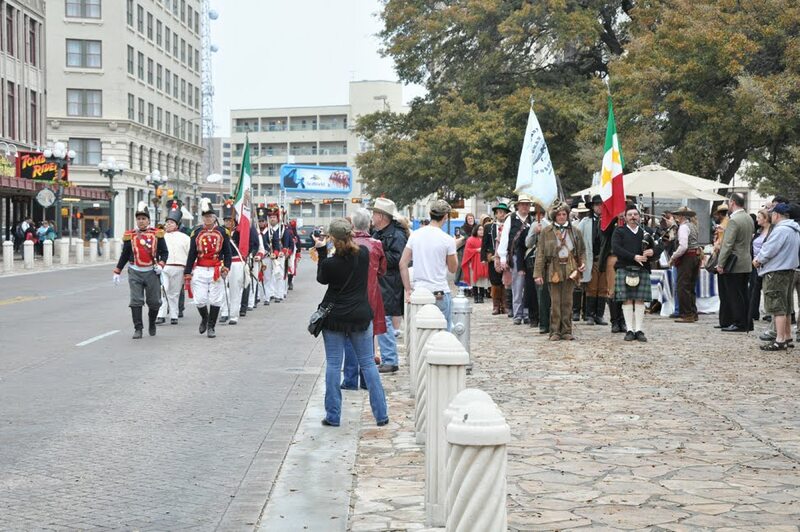 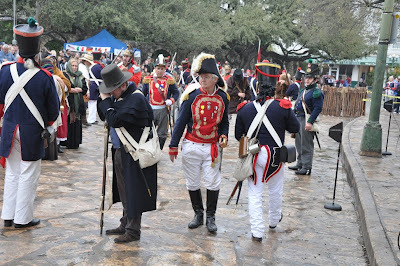 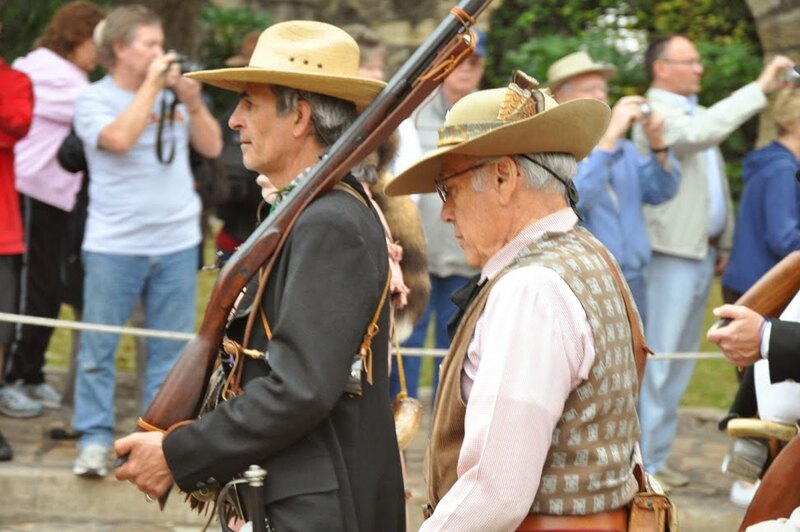 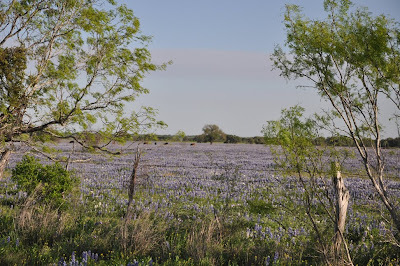 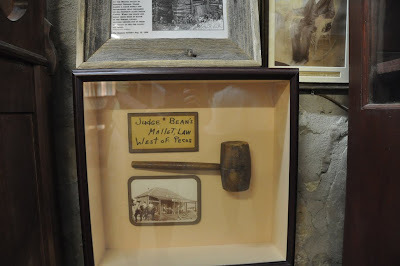 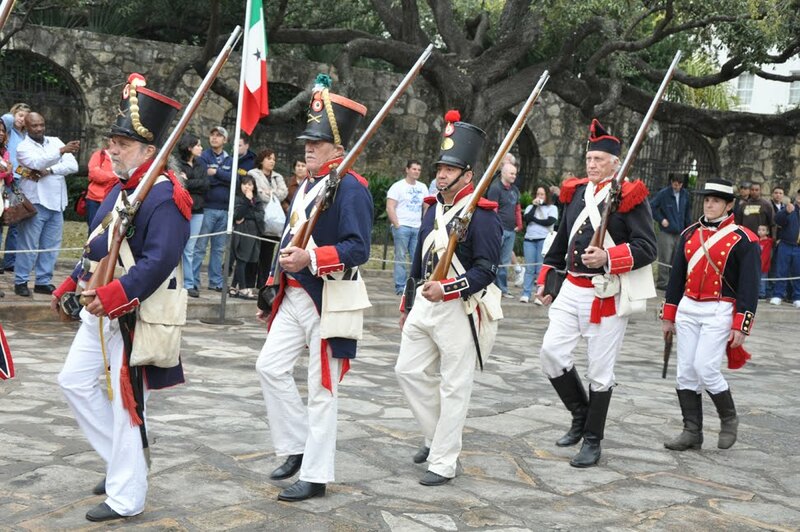 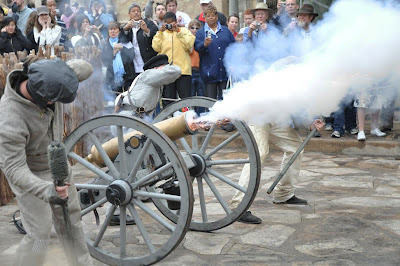 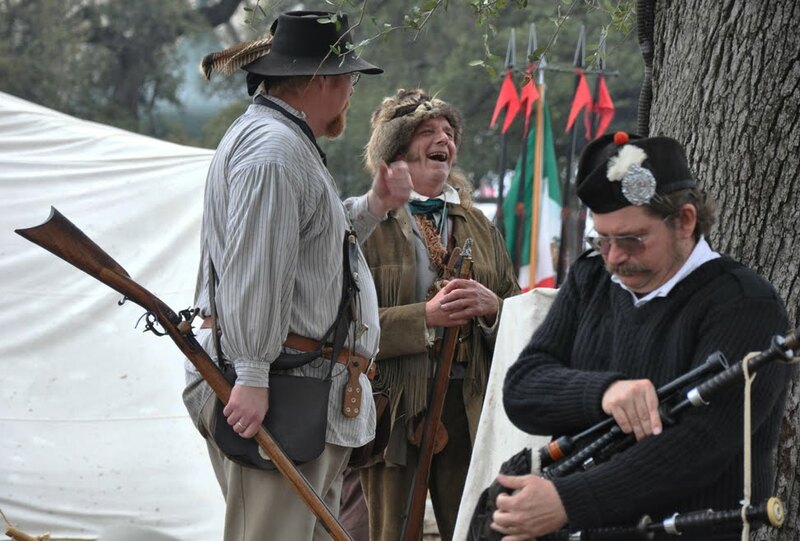 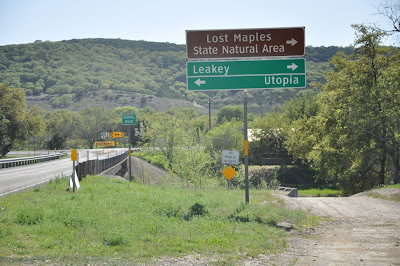 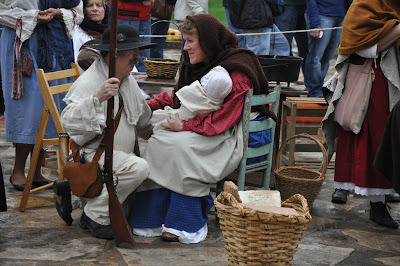 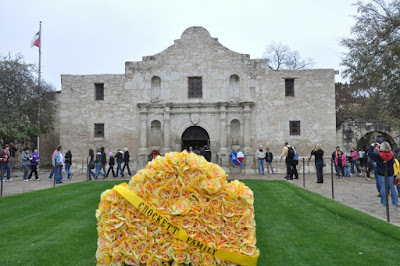 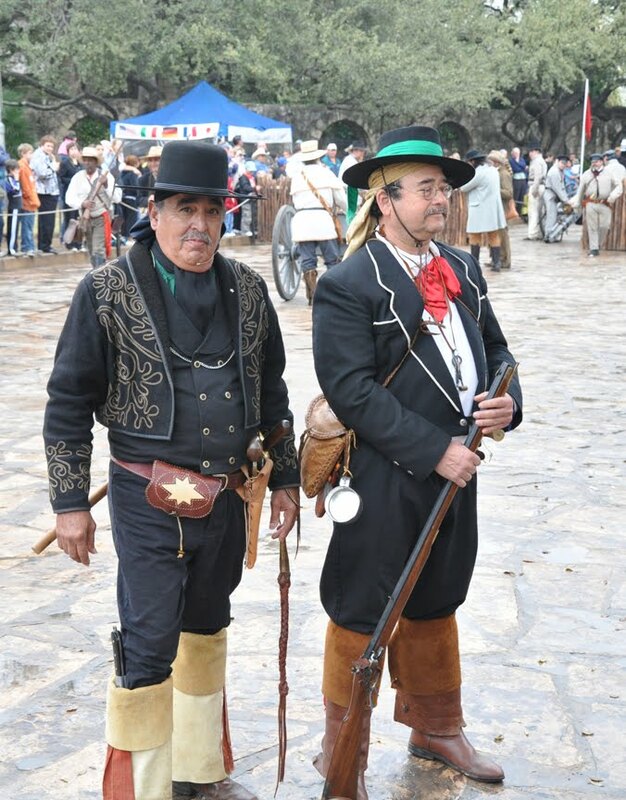 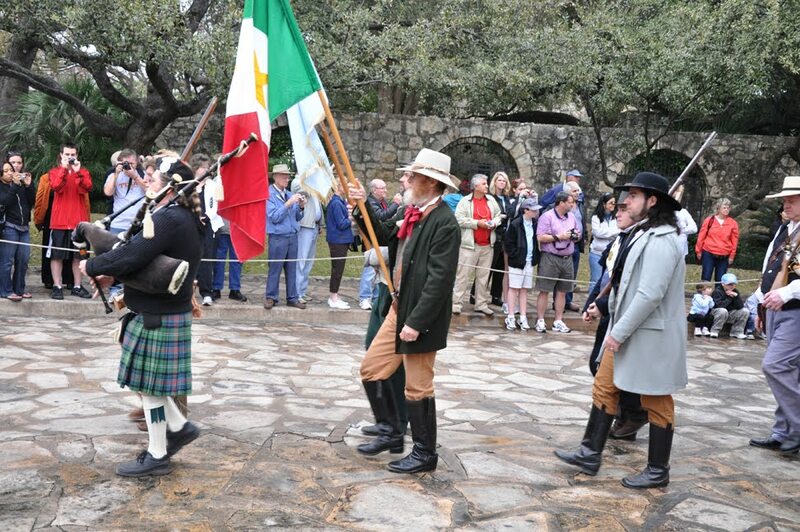 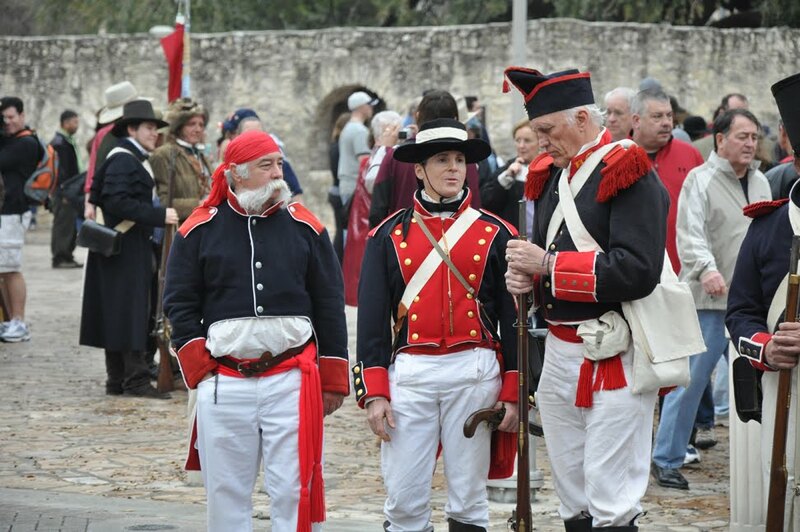 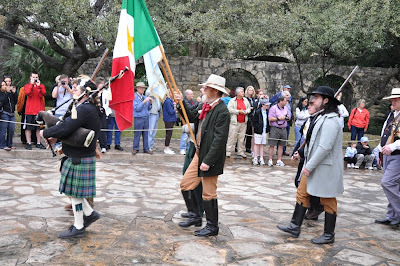 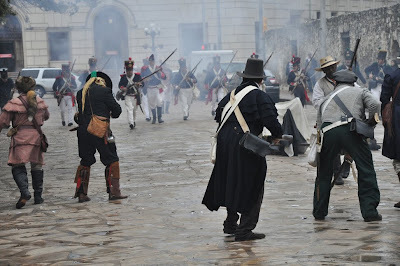 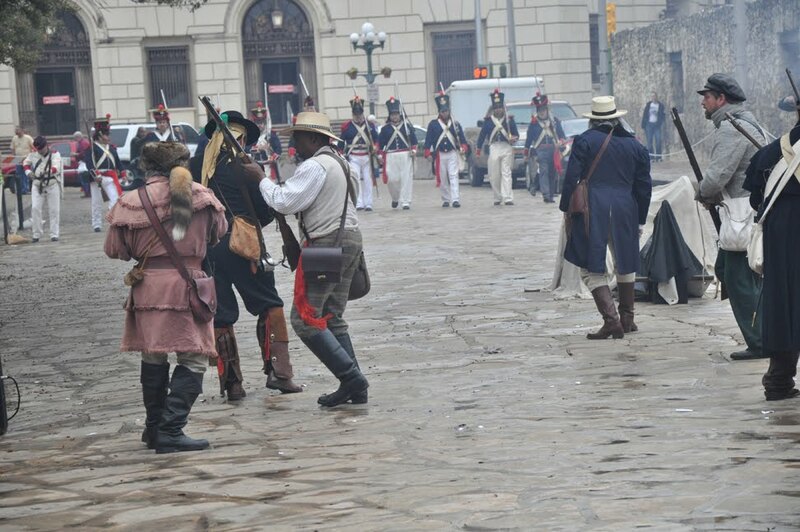 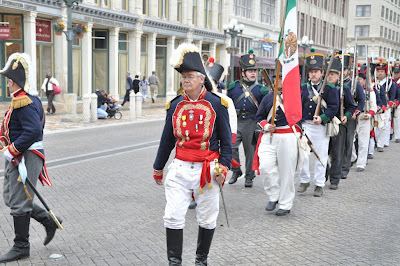 Every March 6th there is a reenactment of the Alamo battle complete with cannon fire, and black powder muskets. 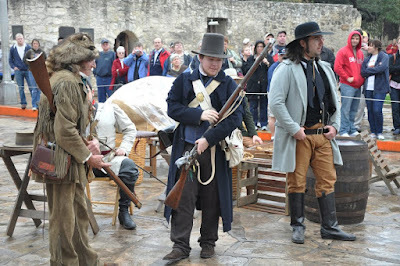 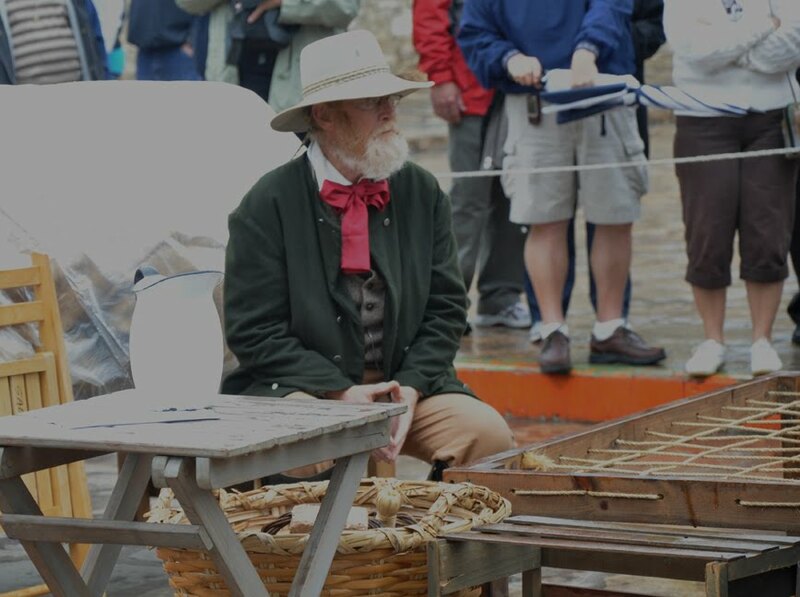 During this year's battle it rained lightly, so the "dead" just stood with their heads down leaning on their muskets as they didn't want to get their uniforms wet or dirty. 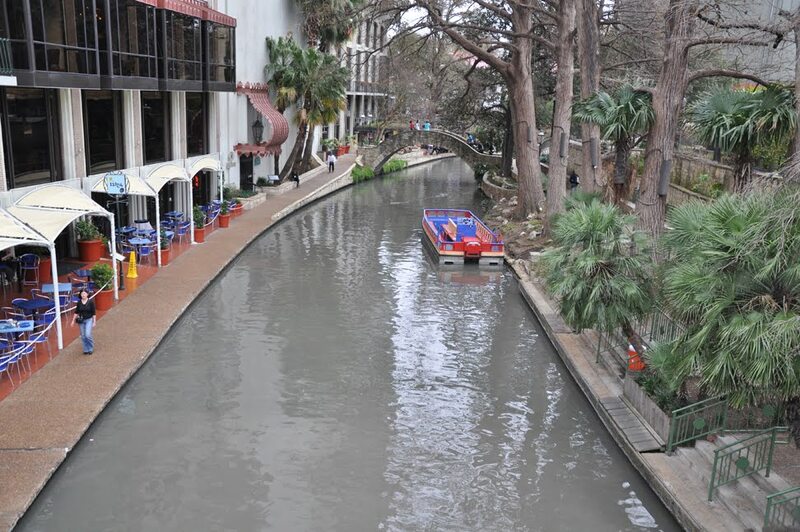 UTSA, University of Texas at San Antonio. 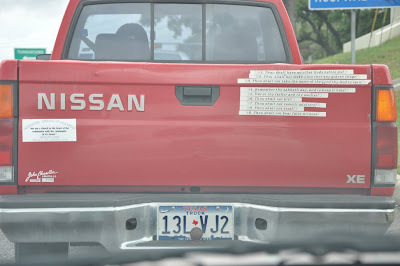 You remember the nine Commandments? 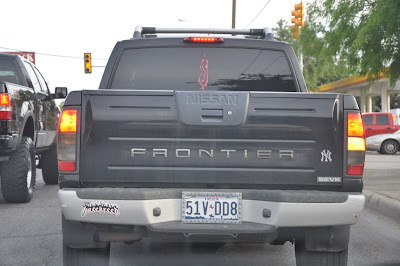 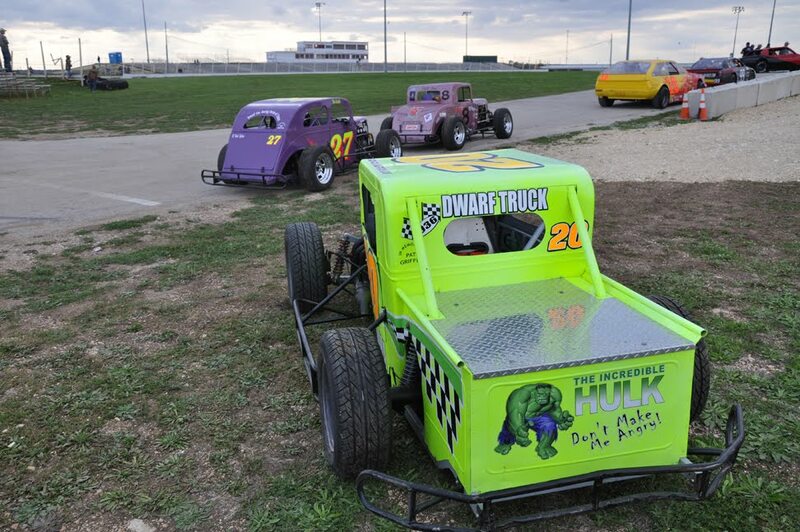 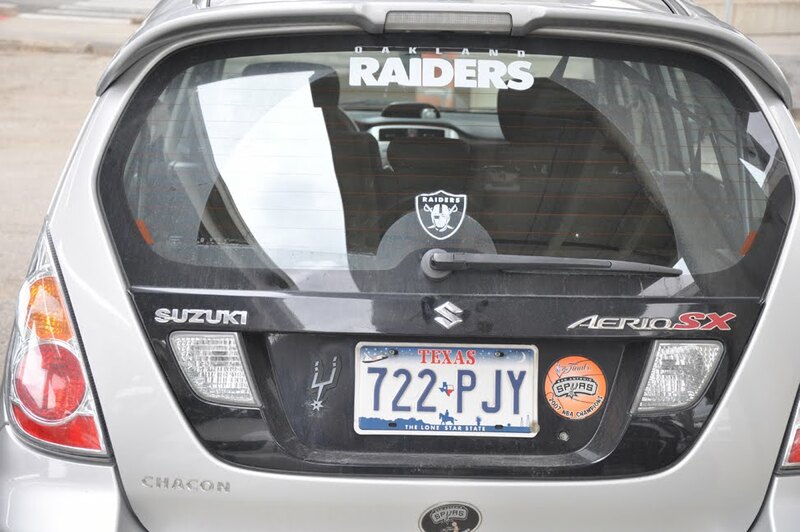 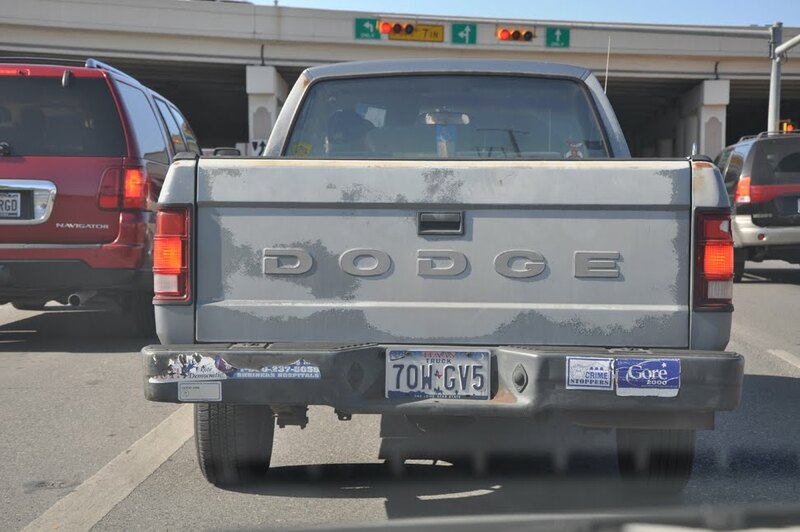 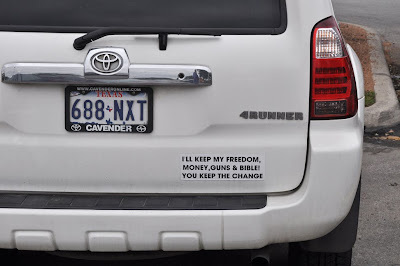 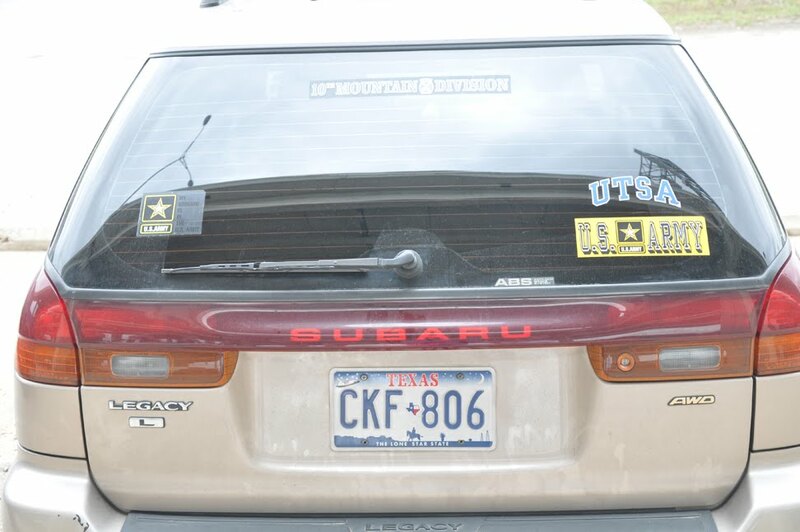 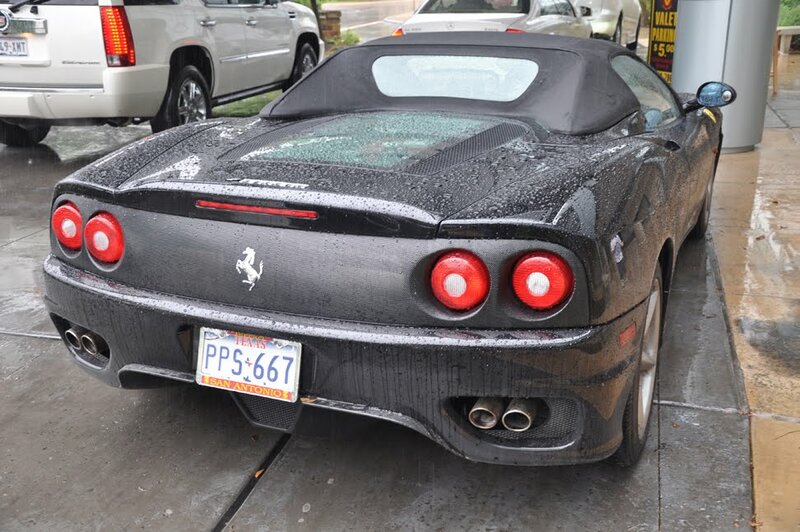 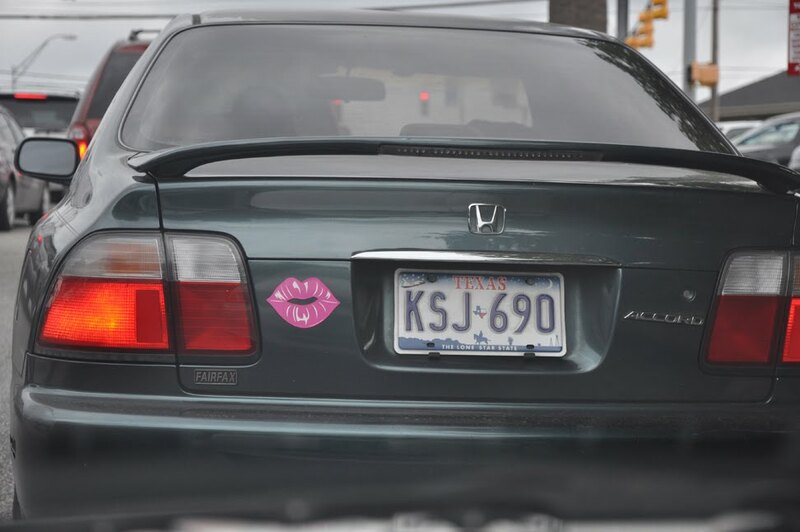 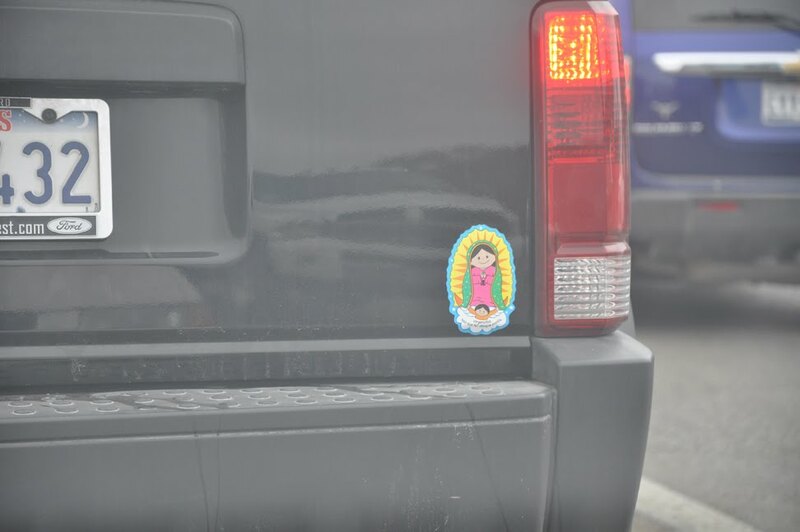 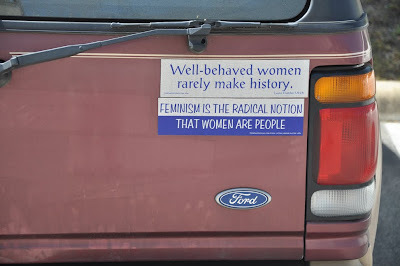 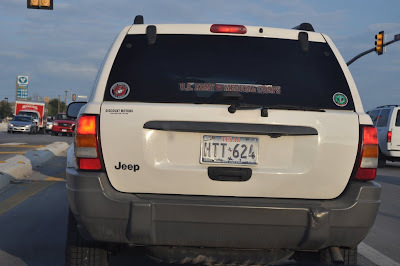 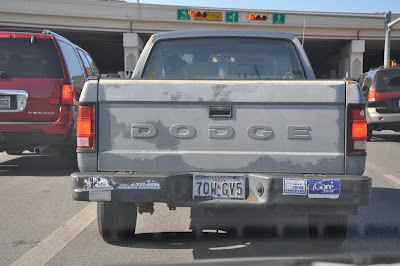 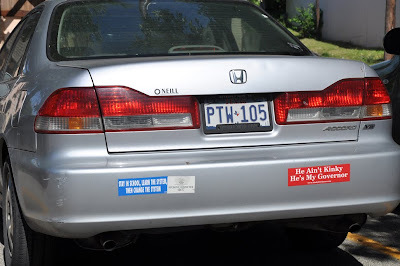 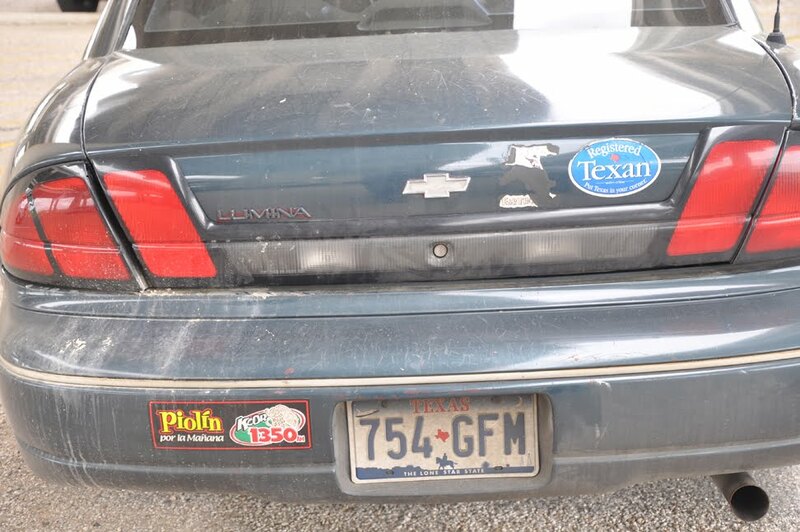 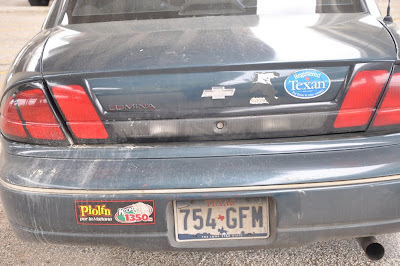 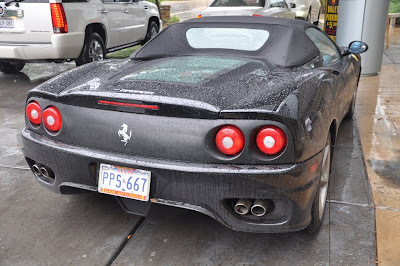 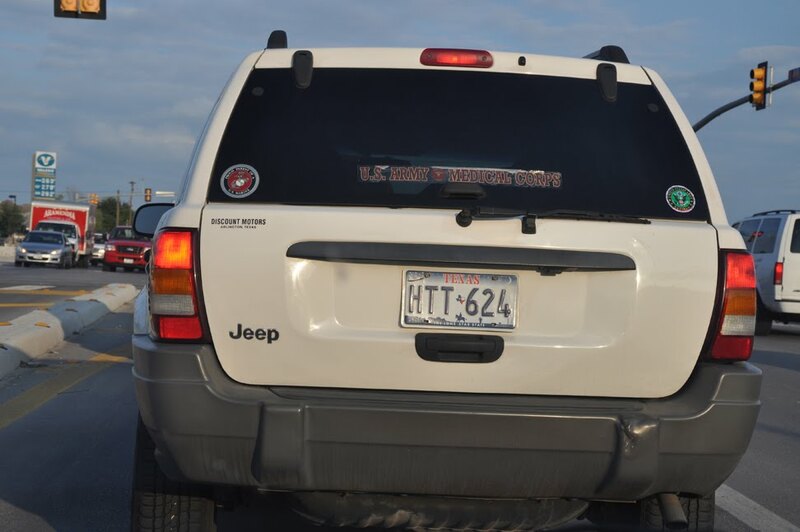 The backs of cars are often places where people express their identity and beliefs. 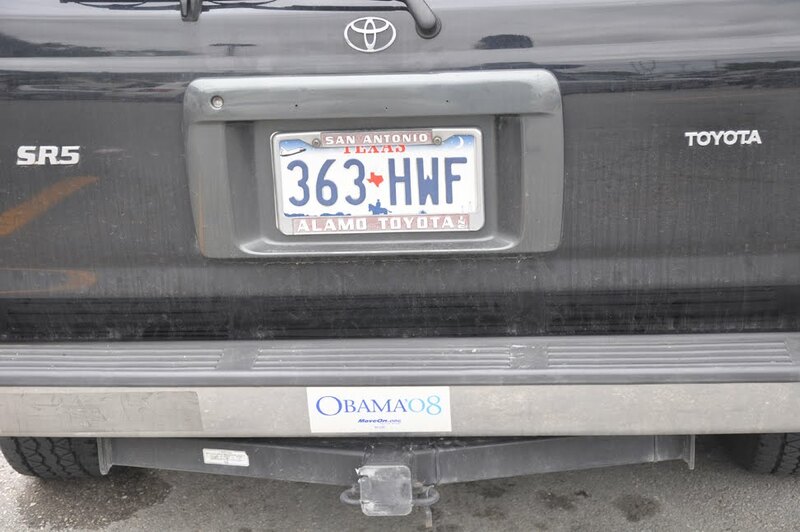 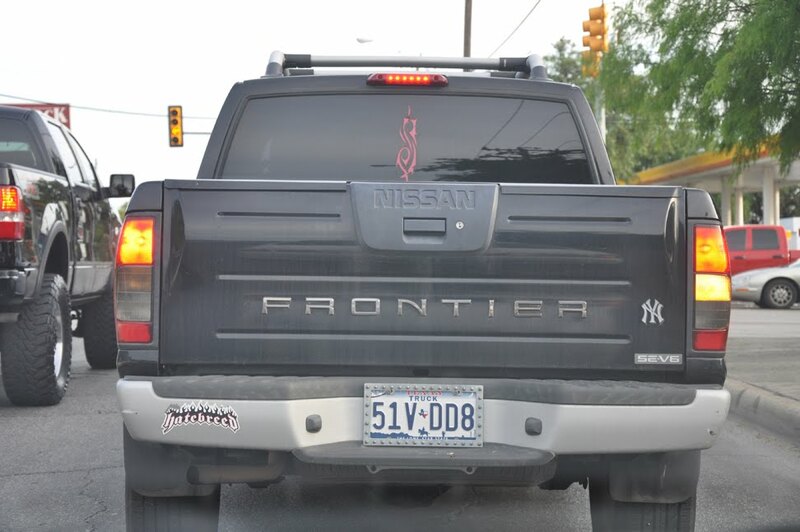 Interesting to see what some folks feel is appropriate to display to the world on their vehicles. 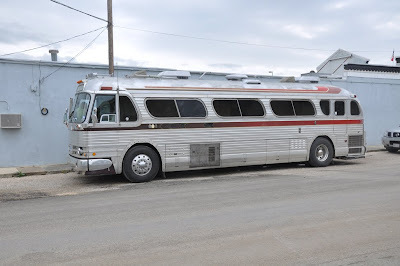 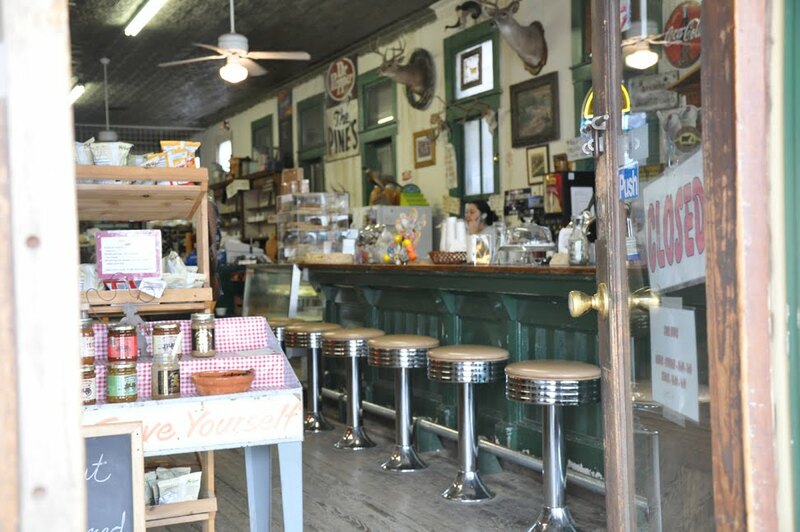 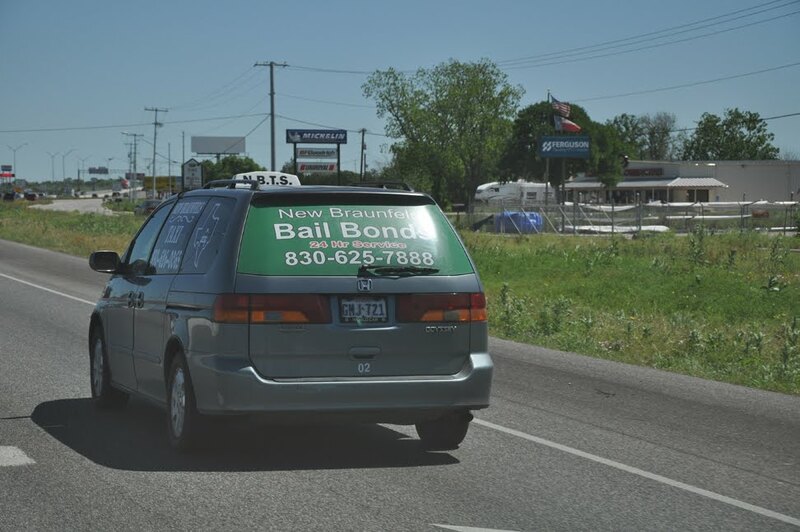 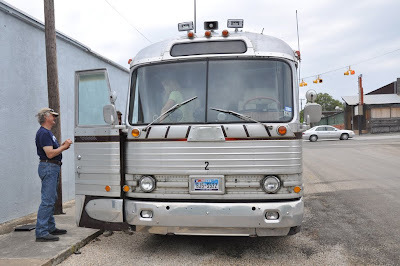 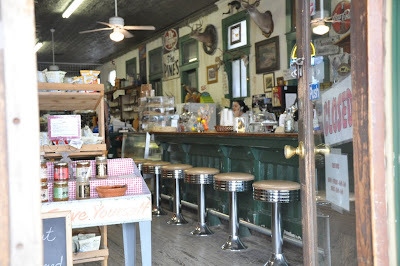 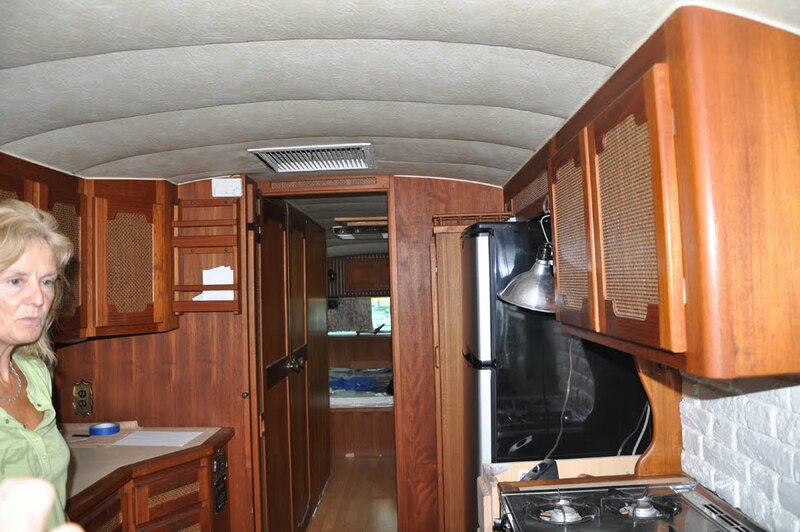 Craig and Diane need one of these. 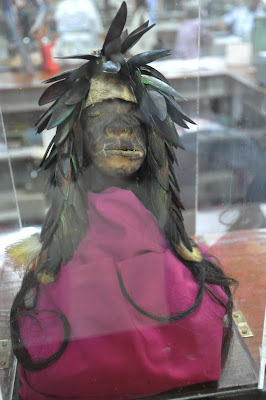 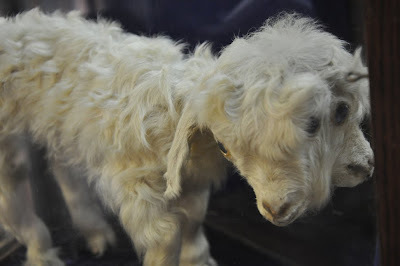 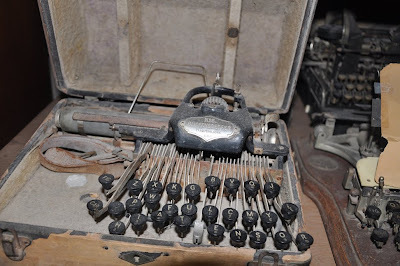 Here's someone who lost their head and got it shrunk.